KIN explains why the closure of the Otaki Health Camp ( latterly Otaki Children’s Village) is a national tragedy. New Zealand’s first health camps were set up by Elizabeth Gunn in 1919 to help children who were malnourished or suffering tuberculosis. At these temporary camps, children could expect lots of sun, rest, fresh air, exercise, and nutritious meals. Between 1938 and the 1950s, several government-run, permanent health camps opened, including the Otaki, Pakuranga, Glenelg (Christchurch), and Roxburgh (Otago). Their establishment reflected the government’s wish to secure the future health and wellbeing of the nation by focusing on the family. Health camps were partly funded through annual sales of health stamps and covers (see photos). 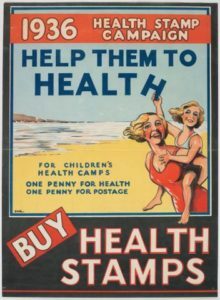 And the stamps and their associated posters were the touchstone of public involvement with children’s summer health camps in New Zealand. 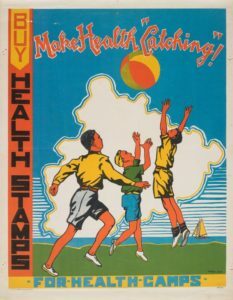 From the mid 1930s, Health stamps became a major source of funding for children’s health camps. The release of new Health stamps every year made them popular with collectors in New Zealand and overseas. By 1950, most children in New Zealand primary schools had some contact with the health system and allied child welfare authorities. They were subject to a full medical examination, where any health problems were identified. Some children were selected for a trip to the health camps by this means, others by their teachers, and some through routine medical examinations by the family doctor. Reasons for children to go to health camp varied greatly – malnutrition, asthma or other health conditions, behavior problems, bed-wetting. Others were chosen because they were small for their age, recovering from an illness or operation, or even ‘picky eaters’. Some children from less privileged backgrounds were sent because it was thought they would benefit from a holiday. For many children, going to health camp was very exciting and a great deal of fun. 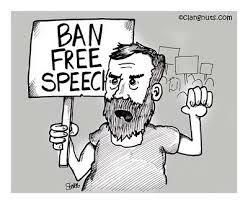 But for others, it was not. They wondered what was wrong with them, and the experience was over-shadowed by a feeling that they had failed to measure up. Health camps were partly funded through annual sales of health stamps and covers (envelopes). This raised awareness of health camps and what they achieved by bringing them into the consciousness of New Zealanders. The stamps and their accompanying posters also promoted New Zealand’s image, both nationally and internationally, as a supposedly healthy, humanitarian country concerned for its future. 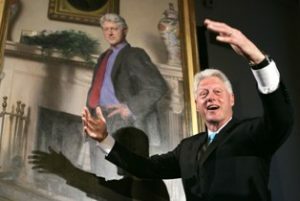 Hardly a national tragedy. Health Camps evolved from eugenics thinking and were set up based on the premise of removing children from a ‘toxic’ environment. 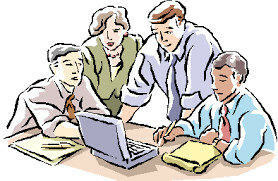 We’ve moved on from there and realise it is better to work with children within the extended family and local community. Removing children from their families, whanau and villages was often a traumatic experience dictated by bureaucratic so called experts. Better to keep kids close and use the resources of the village….